Awesome! So I'm breaking up a monolithic application into cloud services which I'll host on the Azure platform. 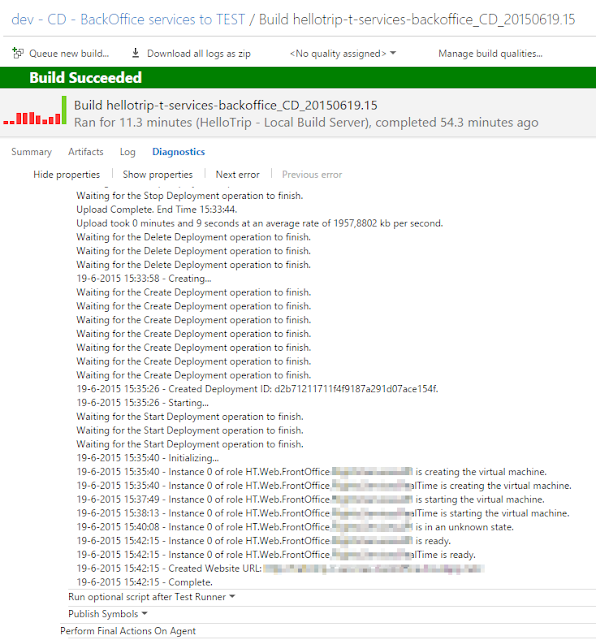 I had it up, running, and publishable from Visual Studio, with all the correct configs for the right environments. 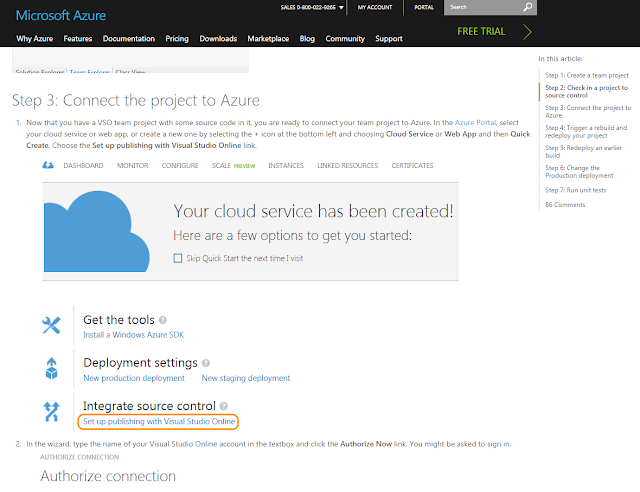 Then I came across this blogpost: https://azure.microsoft.com/en-gb/documentation/articles/cloud-services-continuous-delivery-use-vso/ YES you should read it and see the awesomeness. Awesome. Do read the post - there are some little tips and tricks in there ( for instance, how to make sure the config transforms properly ). But if you have all the publish profiles set up correctly before, AND you're build server is up to date ( with build targets and things ), it'll be a breeze.